Do you like Chrome OS style? Do you want to have it in your desktop? 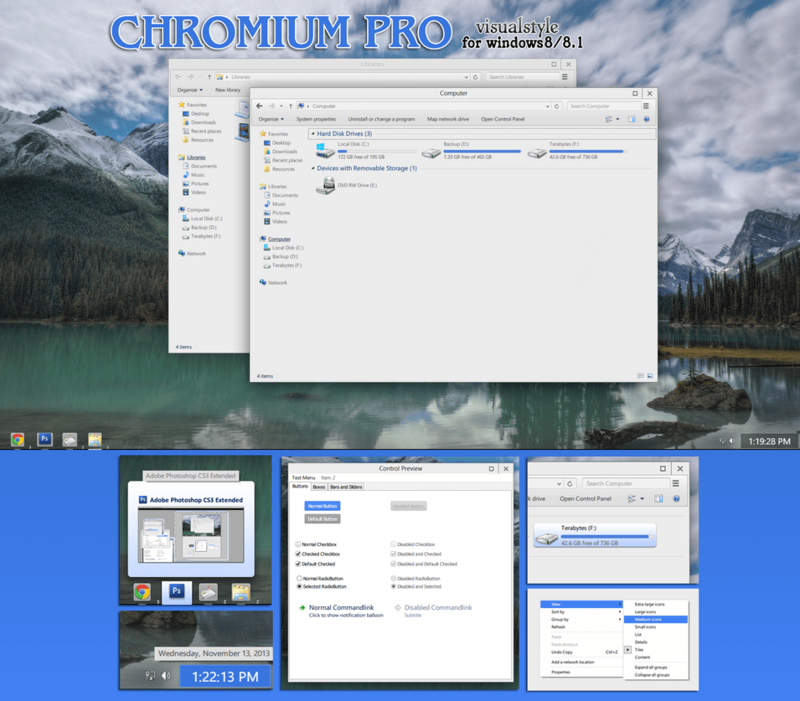 Our friends raymon released new version of Chromium visual style for Windows 8 users. This is realy awsome theme, enjoy it!